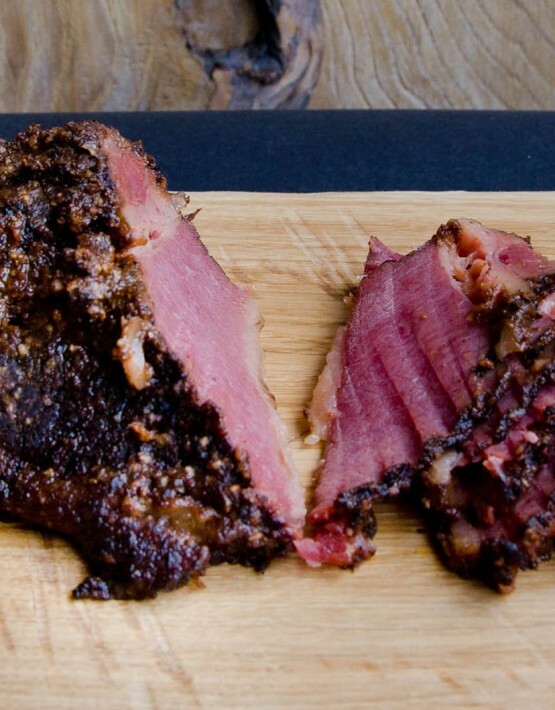 Try the taste of original NYC pastrami. 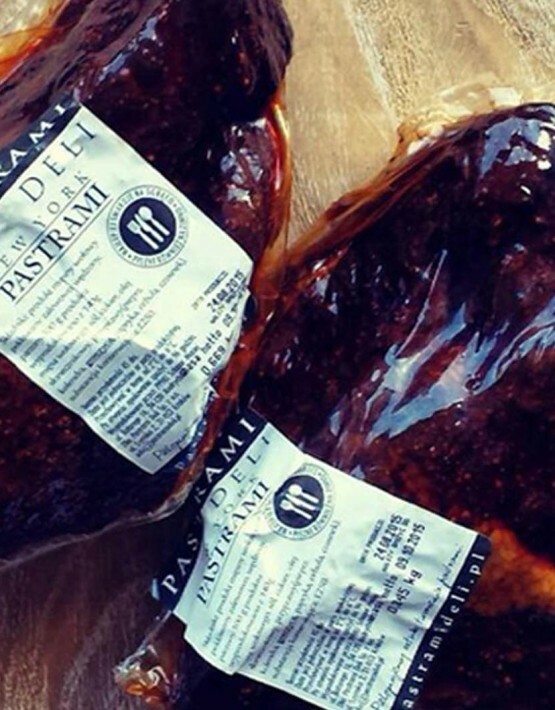 We deliver our pastrami in 1 kg vacuum-packed portions. Delivery across EU takes about3-4 days. 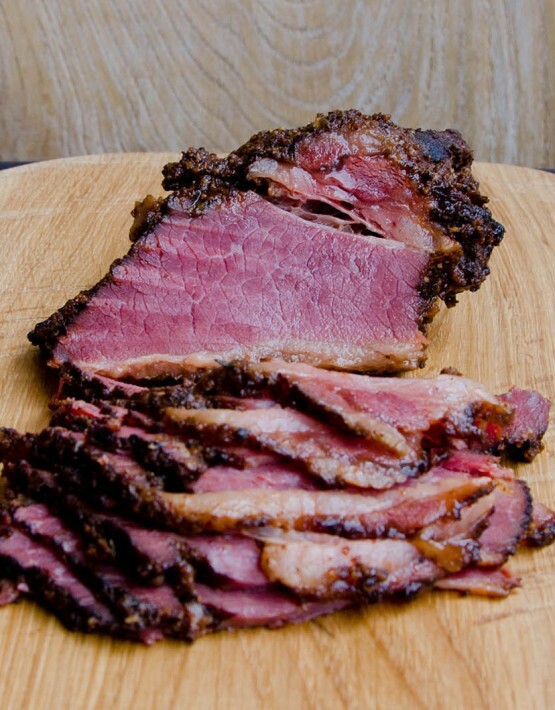 Beef briskets used in our pastrami come from Angus or Limousine cattle breed. The meat is dry-cured withour special mix of over 30 herbs and spices and then it's put in another aromatic unique mix of spices and smoked. 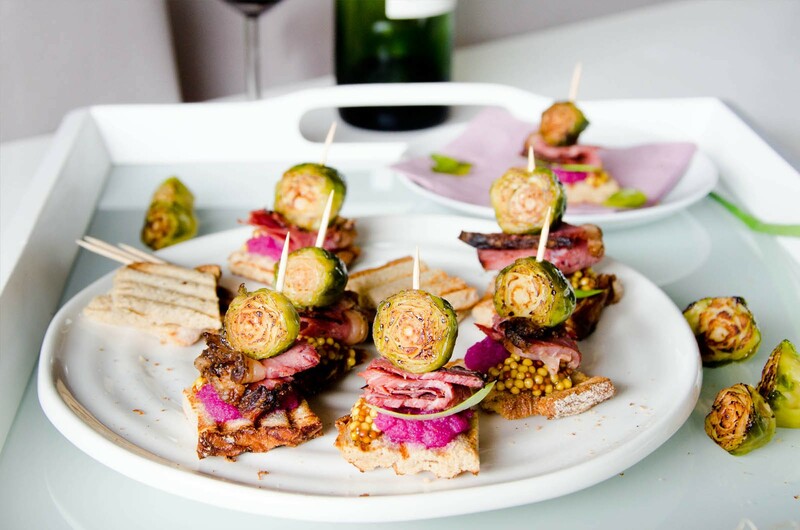 As a result we get delicious, slightly spicy pastrami used to make world's most popular and best sandwiches. 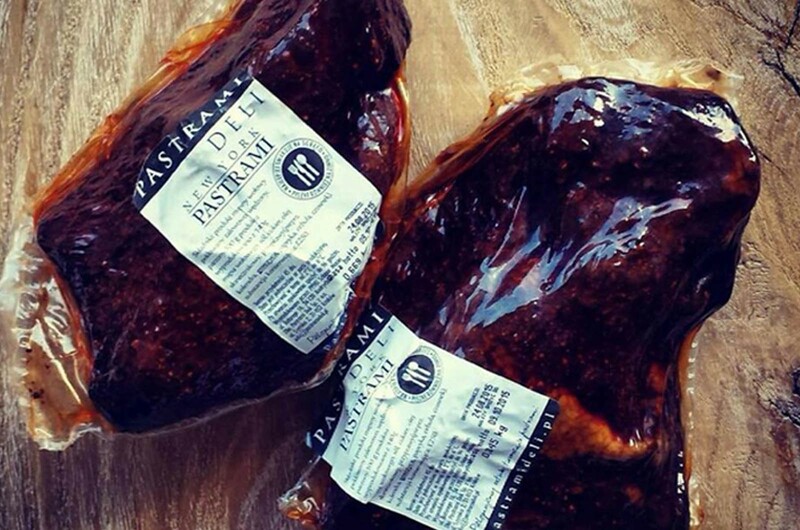 Our pastramiis produced in full EU and ecologically compliant conditions. 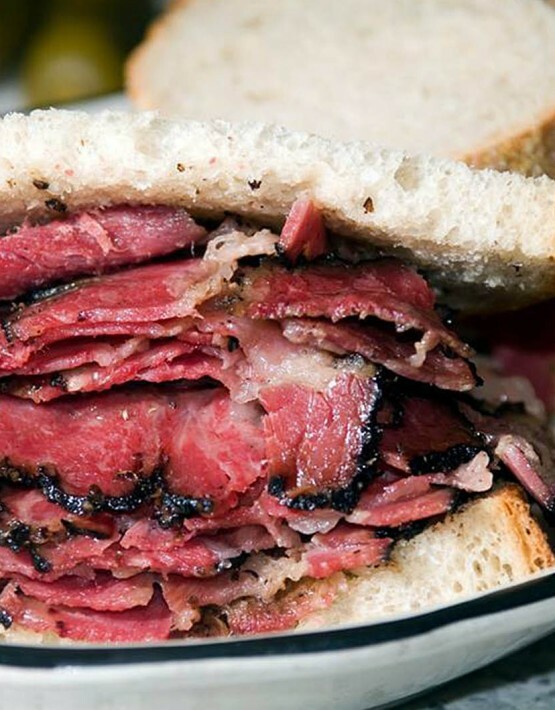 I've eaten pastrami in New York City and this stuff is just as good - delicious. Pastrami from Pastrami Deli tastes heavenly. Just make sure you steam it properly and it’s so tender and juicy and aromatic. Good work guys. 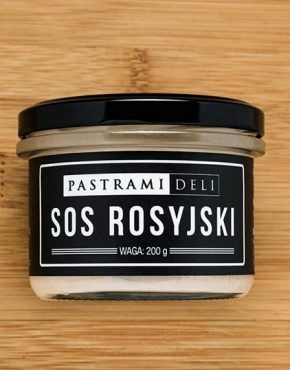 The idea to create our polish pastrami arose out of the longing for the unique taste and aroma which we experienced during our journeys throughout the States. 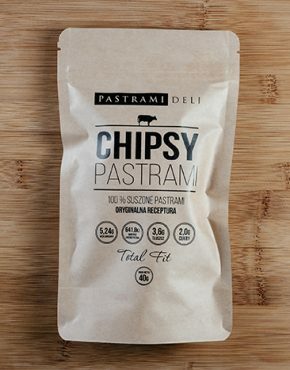 In Poland it is hardly possible to find pastrami similar to the one served in the USA. 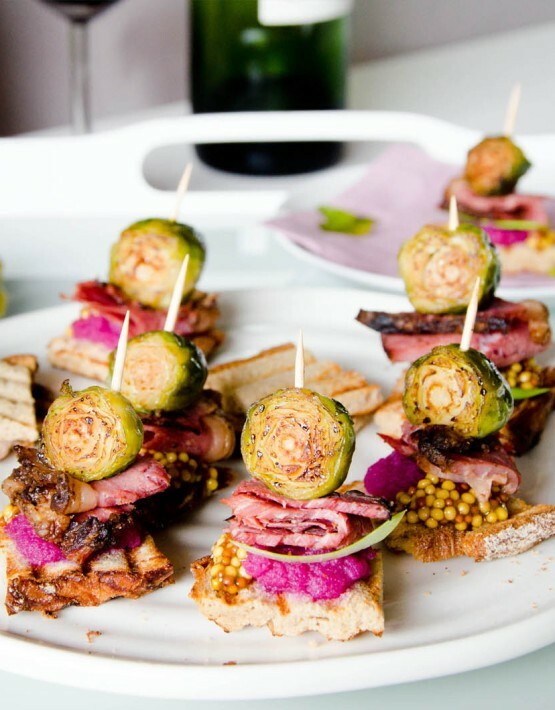 Despite exquisite Polish smoked meat-making traditions, incomparably older and unavailable in the USA, or even in many European countries, we couldn’t find the real traditional pastrami. Certainly, there are a few products on the meat market, which are called ‘pastrami’ but they have nothing to do with the product we looked for. 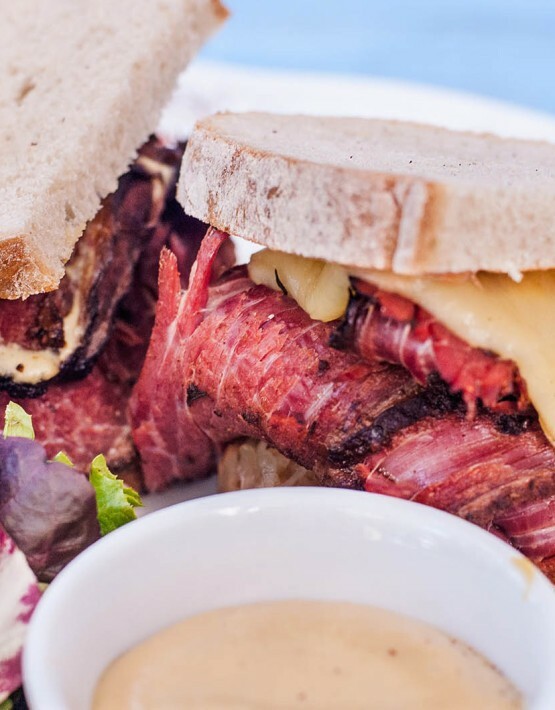 Also traveling round Europe didn’t help us find the real pastrami sandwiches we desired, even though in some European capital cities we had the chance to taste sandwiches with a similar taste. Meeting with local producers or hobbyists who smoked the meat at home smokehouses enriched our knowledge with many curiosities and interesting stories. During our stay in Przemyśl, at friends’ family house, we learnt that they were making pastrami themselves. After a short conversation it turned out that it was … pork tenderloin dried over the stove. Although it tasted great, it wasn’t the product we were searching for. That was the moment we decided to try to make pastrami ourselves. Preparing the recipe, improving the process and the taste took us a few months. It was quite pleasant but intensive time of learning, experimenting and consulting our friends, both gourmets and experts in the field of processed meat industry in Poland and the USA. 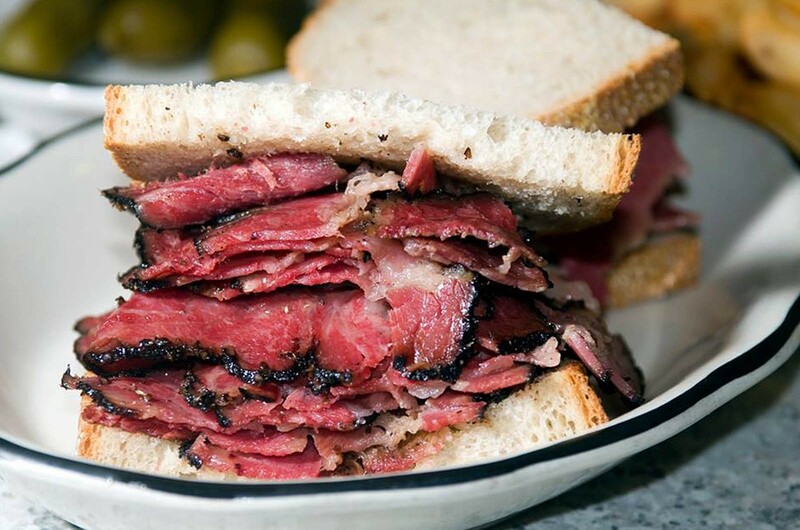 We have visited countless number of restaurants serving pastrami on the west and east coast of the United States. 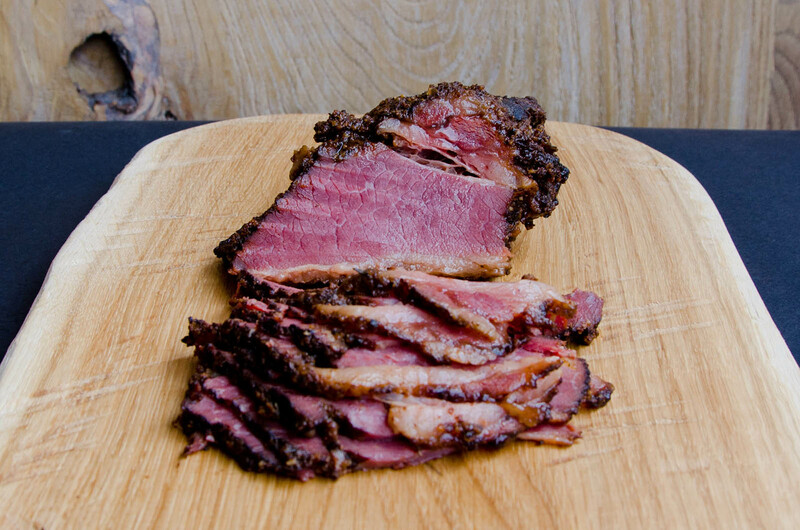 Beef briskets used in our pastrami production process come from Angus or Limousine cattle breed and crossbreed. The meat is dry-cured with our special mix of herbs, spices, brown sugar, salt and curing salt. After curing the meat for a week, the salt is removed and another aromatic spice mix is put on the meat to prepare it for smoking. As a result we get a delicious ,slightly spicy pastrami. Steaming before serving gives it a an exceptional melt-in-the-mouth texture. Like from New York deli a few decades ago. Gratulacja. Bit disappointed. Honestly I expected something better for this price. 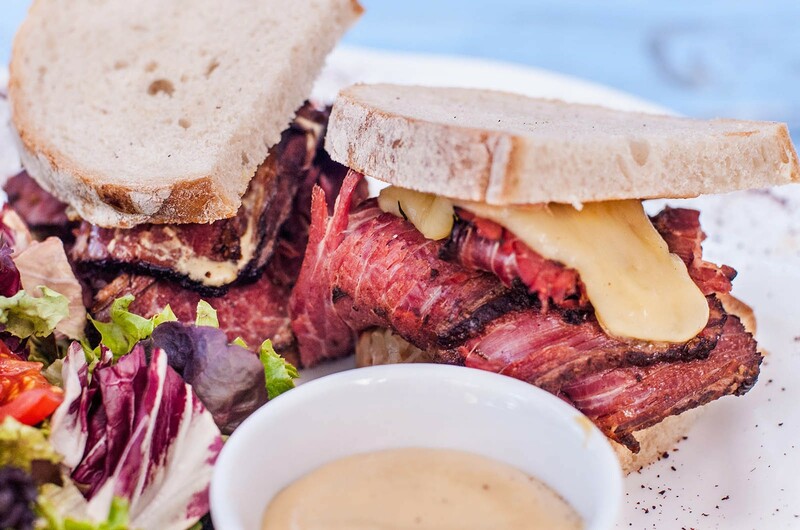 Top pastrami in Europe. Good work. bought as present for my husband who is heavy beef eater. very good, he liked it a lot. Class product. Meat arrived safe. Thank you. i didnt steam i eat it cold. thin slices are ok.
fantastik but prices too high. could be cheaper. They have pastrami in Subway here in Dublin but it’s not what I llike. Can’t wait to taste your product. Will post again. 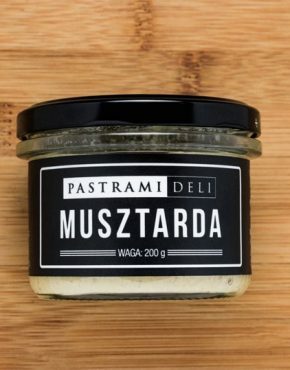 Ive eaten pastrami in New York City and this stuff is just as good – delicious. Excellent product. Didnt expect real pastrami in Poland. Thanks guys for your effort to prepar pastrami. The better one I only had in New York. Takes 4 days to arrive from Poland to Malaga where I live. I could not wait. But i got my reward. 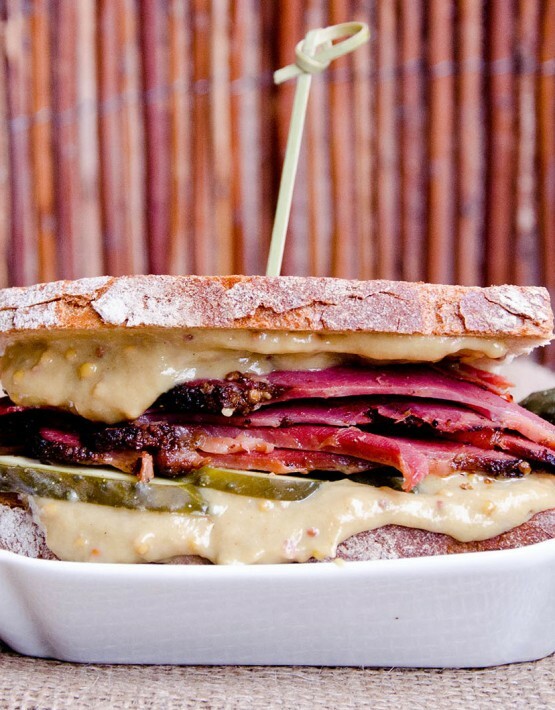 Great pastrami. The rub is really spicy too spicy for me. But apart from that its the same I had in the States. Class! Congrats. Ill be your client. I had your pastrami in Krakow restaurant and fell in love with it. Great you ship to UK! didnt like. and steaming takes so much time. Never ate patrami in USA but its best one I ate in Europe. Your website is beautiful. I suggest everyone read steaming inforamtion carefully. 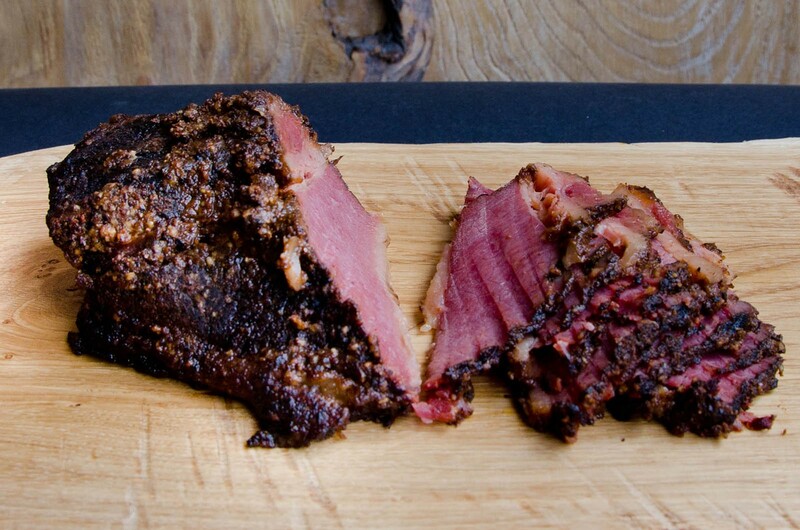 Correct steamin is the key to ideal pastrami structure. Thumbs up. This product is worth the price. Grazie. Do your job again and again. 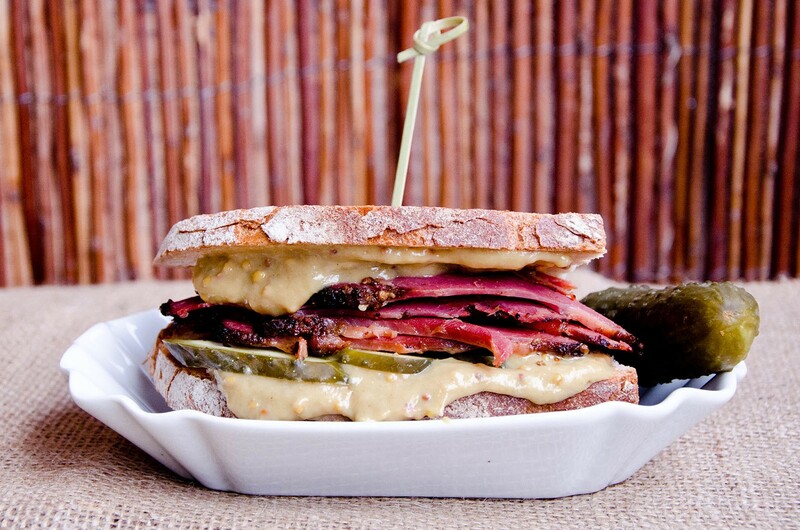 I will buy this pastrami. Congratulations. Awesome beef. Ill be back. Was worth waiting for. After 3,5h steaming it was just what I had back in the States. Totally worth its high price. 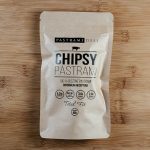 Quality pastrami from an online shop to your doorstep! Thanks. lovely idea. ok taste but too expensive for me. 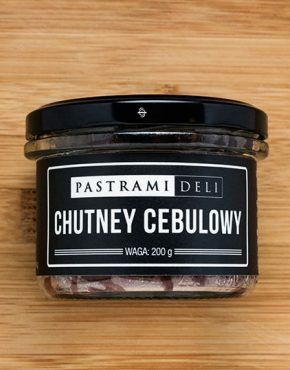 Was really sceptical about pastrami from Poland but I must say this: your pastrami is pure delicacy. For beef fans remember this shop.